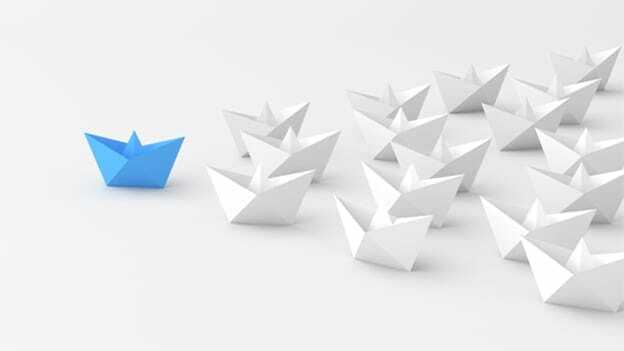 On average, only 15 percent of executives across the globe, including Asia Pacific, have what it takes be truly great leaders in the rapidly-changing business world, according to a study by Korn Ferry. More than two thirds (69 percent) of investors in Asia Pacific say that today’s private-sector leadership is “unfit” for the future. Investors in Singapore are amongst the least pessimistic in the region, with 51 percent of investors surveyed agreeing with the assessment. According to a Korn Ferry study, The Self-Disruptive Leader – capturing the sentiment of nearly 800 investors and including a detailed analysis of more than 150,000 leaders – corporate leadership is ill-prepared to meet the challenges of tomorrow. This is concerning, given the importance of corporate leadership to investors not just in APAC, but around the world: 78 percent insist the CEO is critically important when deciding in which companies to invest, and 83 percent cite an exceptional CEO as critical to an organization’s success in disruptive times. Investors in Singapore see the intense need for future-ready leaders, with 69 percent of respondents saying they value future vision and orientation over past performance (66 percent globally). They are also much more likely to agree that the challenges of disruptive market conditions will make leadership more important within the next three years (86 percent versus 69 percent globally). Further analysis of 150,000 leadership profiles worldwide reveals that, on average, only 15 percent of executives across the globe, including the Asia Pacific, have what it takes to be truly great leaders in the rapidly-changing business world. Singapore, Hong Kong, and India have the highest proportion of Self-Disruptive Leaders in the region, although this figure stands at only 17 percent. The data show that a majority of leaders can’t make decisions and take smart actions quickly enough, motivate people effectively, or build trust – all of which is needed to ensure their organization’s survival into the future. “Companies have a crucial role to play in cultivating leaders of the future. To close the leadership gap, businesses urgently need to revolutionize how they uncover future execs who have what it takes—and accelerate their growth, as well as build a culture that empowers talent at all levels to challenge and innovate,” said Gareth McIlroy, Managing Director Advisory, Korn Ferry Singapore. According to the study, a new model of future-ready leadership is required. Building on existing concepts of agile, digital and inclusive leadership, Self-Disruptive Leaders also possess a strong portfolio of future-oriented skills: the ADAPT dimensions – which encompass the ability to anticipate, drive, accelerate, partner and trust. Each of the five dimensions then qualifies as the biggest priority for leadership development in the country, according to the gaps between the ADAPT skills that leaders have and the ones that the markets demand. In Singapore, the biggest gaps between leaders’ current performance and market demand are trust and anticipate. Singaporeans leaders need the ability to drive towards a vision and purpose and build trust more effectively to become self-disruptors. The study argues that today’s disruptive forces in technology, globalization, demographics and consumer behavior are exposing the limitations of legacy leadership worldwide.